Eyesight is only one small part of vision. Too often, evaluation of vision is based solely on clarity of sight at a 20 foot distance. This is the accepted measurement of a person’s vision of which eyesight is only one small part. Vision comprises a multifaceted and complex system of functions. The visual system covers a wide scope of necessary skills including eye-teaming, focusing, eye movements, visual perception, visual information processing and integration of vision with our other senses. For example, motor skills and visual skills combine for good coordination; visual and auditory skills combined are used for reading. Dysfunctional visual processing systems and faulty sensory integration may be the underlying cause of the symptomatic behavior seen in children diagnosed with ADD, ADHD, CAPD, PDD, or ODD. It can also influence the diagnosis of autism, allergies, and chemical imbalances. Vision is affected by changes in the Central and Autonomic Nervous Systems. 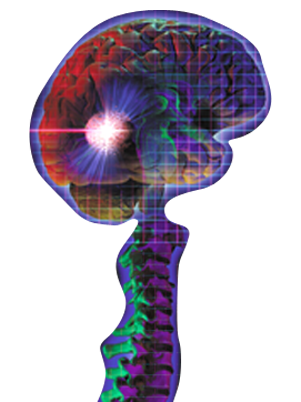 Brain Breakthrough offers tools and techniques to help balance the autonomic nervous system via the visual system utilizing specific wavelengths of light to enhance visual perception and remedy light perception deficits that impact the emotions, concentration and learning, motor coordination and performance. • Seems bright, but struggles with reading. • Fatigues quickly when reading, with frequent signs of frustration. • Is unable to sit still; cannot stay on task for any length of time. • Reverses words, numbers or letters. • Has difficulty remembering spelling words. • Is disorganized and frustrated when studying visual information. • Frequently loses his place, skips words or whole lines of text. • Has poor reading comprehension. • Has difficulty copying from the board or a book, has sloppy handwriting. • Medication or tutoring has not been successful in improving school performance. • Has been labeled LD (learning disabilities), ADD, ADHD, or dyslexic. According to Researchers from Wake Forest University Baptist Medical Center, Winston-Salem, N.C. at the annual Society for Neuroscience meeting in New Orleans, dyslexia may stem from how the brain processes sight and sound together - rather than simply a problem "decoding" the written word. "For the first time, there is evidence that dyslexia is a multi-sensory disorder," says Mark Wallace, Ph.D., associate professor of neurobiology and anatomy. "It isn't solely a problem with visual processing or with language. This is a novel way of looking at the disorder.”Until now, experts have thought that dyslexia was either a visual processing problem or a problem involving language areas of the brain," said Wallace. "But our study suggests that it's actually a problem combining visual information with auditory information." According to a joint organizational policy statement of the American Academy of Optometry and the American Optometric Association, the eyes, visual pathways and brain comprise the visual system. Therefore, to understand the complexities of visual function, one must look at the total visual system. Recent research has demonstrated that some people with reading disabilities have deficits in the transmission of information to the brain through a defective visual pathway. [McConkie GW, Rayner K. The span of the effective stimulus during a fixation in reading. Percept Psychophys 1975; 17:578-86; Lehmkuhle S, Garzia RP, Turner L, et al. A defective visual pathway in children with reading disability. N Eng J Med 1993; 328:989-96.] This creates confusion and disrupts the normal visual timing functions in reading. Visual defects, such as a restriction in the visual field, can have a substantial impact on reading performance. [A defective visual pathway in children with reading disability. N Eng J Med 1993; 328:989-96.]. Brain Breakthrough addresses this need by measuring the visual field of awareness and working with color frequencies to expand the field and stimulate the visual system to improve academic performance..